We are committed to providing patients with convenient access to high-quality care and delivering personalized treatment with individualized precision. We are equipped to diagnose and treat all vascular conditions of the leg. This includes pain and discomfort arising from varicose veins or spider veins, swelling from venous insufficiency or lymphatic dysfunction, and even ulceration of the skin related to venous disease. We also treat atherosclerotic problems of the arterial system of the legs including blockages of the large or small arteries often resulting in pain or changes to the skin. 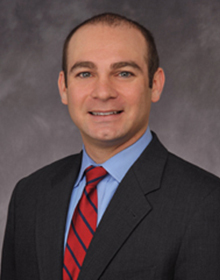 Dr. Klein is board certified in Internal Medicine as well as Cardiovascular Medicine and is certified as a Registered Physician in Vascular Interpretation. He received his undergraduate degree at the University of Pennsylvania where he was designated a University Scholar. While completing a year of clinical research at the Hospital of the University of Pennsylvania, he was honored to present his work nationally and internationally at multiple meetings including the annual congress of the American Thoracic Society.